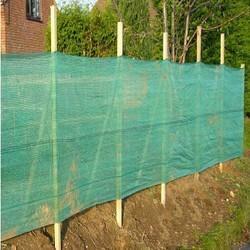 Our range of products include windbreak net fencing and anti bird net fencing. Backed ourselves with sound amenities and talented personnel, we have emerged as one of the leading firms of superior quality Windbreak Net Fencing. The offered fencing net is used for protection of crops, nurseries house farmed animals and gardens from destructive winds. Also, this fencing net can protect animals from insects and birds when fixed on windows or doors of hutches. We offer this fencing net in various sizes & customized options in order to meet various requirements of customers. We are an eminent entity engaged in offering an extensive range of Anti Bird Net Fencing which has unbreakable edge can protects from tearing when fixed with pegs or staples. Our offered fencing is available in rolls of 2m or 4m width, with diamond mesh. This fencing is manufactured using excellent quality material & contemporary techniques under the supervision of experts. The fencing offered by us can be availed from us at reasonable price in a given time frame. 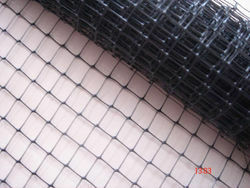 Looking for Net Fencing ?